Tribal Impact Social Business Newsletter - Subscribe Now! Tribal Chatter is a regular email newsletter delivered directly to your inbox each month. 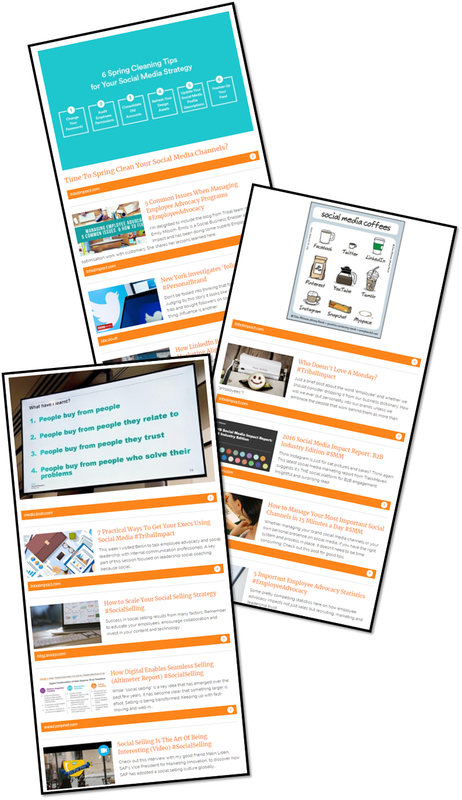 It's packed full of the latest blogs, news and insights that we've been reading over the last month and is designed to keep you informed about the latest trends relating to Social Business, Social Selling and Employee Advocacy. Check out our previous Chatters to get a flavour for what you can expect and subscribe by completing the form on the right hand side.